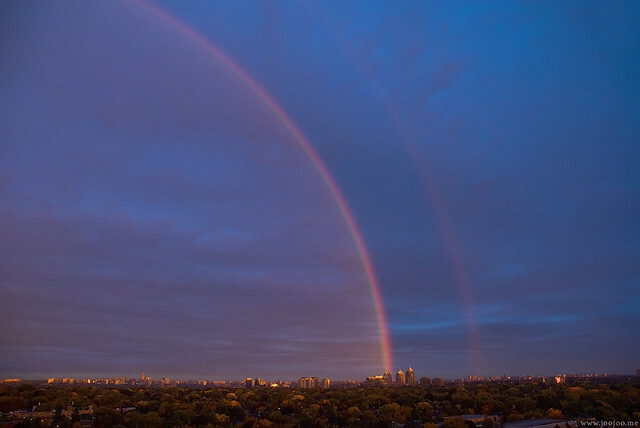 This evening at sunset a huge rainbow appeared in the sky. The sky was almost dark and the last rays of light were about to disappear. but I was lucky enough to take a few photos. Stunning rainbow!!! I haven't seen one that beautiful in years. Just wanted to say thanks for the movie link you left in the blog comment - I have not seen that, but will definitely be looking for it - looks fantastic! I have seen several rainbows in my life, I even remember when and where! 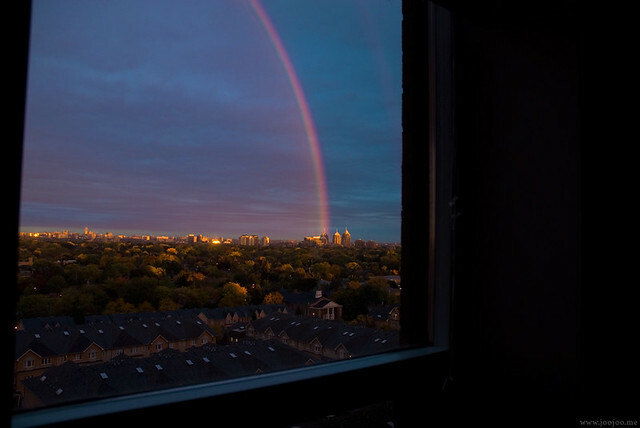 But I've never seen a rainbow on an evening sky - it's magical! !